Only three months after returning from a career-threatening injury sustained when she was stabbed by an intruder at her home in December, the Czech had much to be pleased about in her Flushing Meadows campaign. 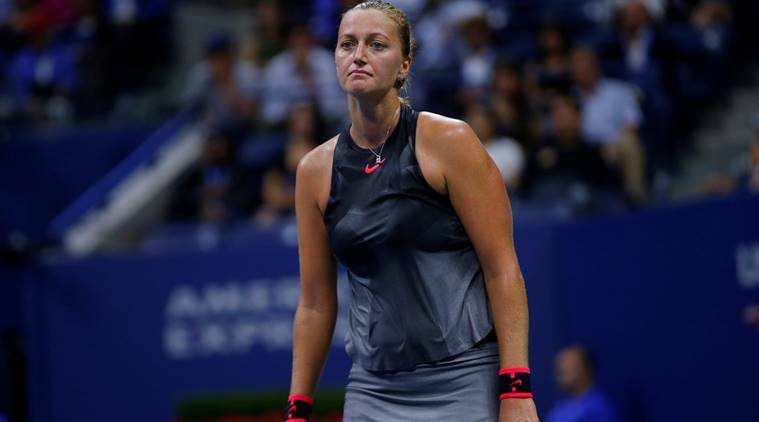 Petra Kvitova took solace from the plentiful evidence that she able to battle with the best again despite bowing out of the U.S. Open after a quarter-final loss to Venus Williams on Tuesday. The 27-year-old beat pre-tournament favourite Garbine Muguruza in the fourth round and on Tuesday came close to upsetting local favourite Williams before succumbing to a 6-3 3-6 7-6(2) defeat. “I’m glad that I am still able to compete on the high level against the top players which I hope will give me some confidence for hard work again to continue to play well, to know that it’s still there somewhere,” she said. Kvitova has made steady progress since her comeback at the French Open in May but there remains a question mark over whether she can add another major crown to her 2011 and 2014 Wimbledon titles. Her performances against Muguruza and Williams suggest that she can, but the Czech is remaining cautious as she tries to keep expectations low. “I’m not sure about the grand slam titles,” she added. “Of course that’s why I’m playing tennis, and that’s why I wanted to be back and playing, and it is a big motivation. Against Williams, Kvitova worked the angles pretty well with her crafty left hand, but she lacked consistency and the American was never threatened in the final tiebreak. It was a frustrating end to a campaign that Kvitova thought she would ultimately judge a success. “I think it was pretty early (in my comeback) that I put a little bit pressure on myself, and I just wanted to play better and better, which I wasn’t ready for,” she said.